Note: Hot pepper ratings based on grade level expectations. “Dead girl walking”, the boys say in the halls. “Tell us your secret”, the girls whisper, one toilet to another. I am the space between my thighs, daylight shining through. I am the bones they want, wired on a porcelain frame. Lia and Cassie are best friends, wintergirls frozen in matchstick bodies, competitors in a deadly contest to see who can be the skinniest. But what comes after size zero and size double-zero? When Cassie succumbs to the demons within, Lia feels she is being haunted by her friend’s restless spirit. This book is considered relatively easy. This, the first book in the Bluford Series, centers on the life of Bluford sophomore Darcy Wills. Darcy contends with the return of her long-absent father, the troubling behavior of her younger sister Jamee, and the beginning of her first relationship. Zlata's Diary: A Child's Life in Sarajevo was published at the height of the Bosnian conflict. It has been compared to to The Diary of Anne Frank, both for the freshness of its voice and the grimness of the world it describes. It begins as the day-to-day record of the life of a typical eleven-year-old girl preoccupied by piano lessons and birthday parties. As war engulfs Sarajevo, things quickly change and Zlata Filpovic becomes a witness to food shortages and the deaths of friends. She learns to wait out bombardments in a neighbor's cellar. Despite her fears, she remains courageous and observant. The result is a book that has the power to move and instruct readers a world away. This book is considered average difficulty. The House on Mango Street traces Esperanza Cordero's coming-of-age through a series of vignettes about her family, neighborhood, and secret dreams. Esperanz is a young Latino girl growing up in Chicago. She is determined to "say goodbye" to her impoverished neighborhood. Although the novel does not follow a traditional chronological pattern, a story emerges, nevertheless, of Esperanza's self-empowerment and willingness to overcome obstacles in her quest for a better life as well as the importance of her promise to come back for "the ones [she] left behind." Thirteen-year-old Steven has a totally normal life: he plays drums in the All-Star Jazz band, has a crush on the hottest girl in the school, and is constantly annoyed by his five-year-old brother, Jeffrey. But when Jeffrey is diagnosed with leukemia, Steven's world is turned upside down. He is forced to deal with his brother's illness and his parents' attempts to keep the family in one piece. 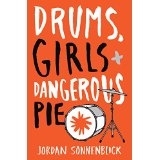 Salted with humor and peppered with devastating realities, DRUMS, GIRLS, AND DANGEROUS PIE is a heartwarming journey through a year in the life of a family in crisis. When the Navy sends their elite, they send the SEALs. When the SEALs send their elite, they send SEAL Team Six—a secret unit made up of the finest soldiers in the country, if not the world. I Am a SEAL Team Six Warrior is the dramatic tale of how Howard Wasdin overcame a tough childhood to live his dream and enter the exciting and dangerous world of U.S. Navy SEALS and Special Forces snipers. His training began with his selection for Basic Underwater Demolition/SEAL (BUD/S)—the toughest and longest military training in the world. After graduating, Wasdin saw combat in Operation Desert Storm as a member of SEAL Team Two. But he was driven to be the best of the best—he wanted to join the legendary SEAL Team Six, and at long last he reached his goal and became one of the best snipers on the planet. Soon he was fighting for his life in The Battle of Mogadishu. Shocked by the teenage violence she witnessed during the Rodney King riots in Los Angeles, Erin Gruwell became a teacher at a high school rampant with hostility and racial intolerance. For many of these students–whose ranks included substance abusers, gang members, the homeless, and victims of abuse–Gruwell was the first person to treat them with dignity, to believe in their potential and help them see it themselves. Soon, their loyalty towards their teacher and burning enthusiasm to help end violence and intolerance became a force of its own. Inspired by reading The Diary of Anne Frank and meeting Zlata Filipovic (the eleven-year old girl who wrote of her life in Sarajevo during the civil war), the students began a joint diary of their inner-city upbringings. In 1966 Ji–li Jiang turned twelve. An outstanding student and leader, she had everything: brains, the admiration of her peers, and a bright future in China's Communist Party. But that year China's leader, Mao Ze–dong, launched the Cultural Revolution, and everything changed. Over the next few years Ji–li and her family were humiliated and scorned by former friends, neighbors, and co–workers. They lived in constant terror of arrest. Finally, with the detention of her father, Ji–li faced the most difficult choice of her life. John and Jenny were just beginning their life together. They were young and in love, with a perfect little house and not a care in the world. Then they brought home Marley, a wiggly yellow furball of a puppy. Life would never be the same. 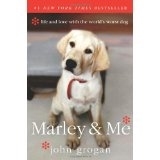 And yet Marley's heart was pure. Just as he joyfully refused any limits on his behavior, his love and loyalty were boundless, too...Through it all, he remained steadfast, a model of devotion, even when his family was at its wit's end. Unconditional love, they would learn, comes in many forms. This book is considered difficult. Kids love fast food. And the fast food industry definitely loves kids. It couldn’t survive without them. Did you know that the biggest toy company in the world is McDonald’s? It’s true. In fact, one out of every three toys given to a child in the United States each year is from a fast food restaurant. Not only has fast food reached into the toy industry, it’s moving into our schools. One out of every five public schools in the United States now serves brand name fast food. But do kids know what they’re eating? Where do fast food hamburgers come from? And what makes those fries taste so good?